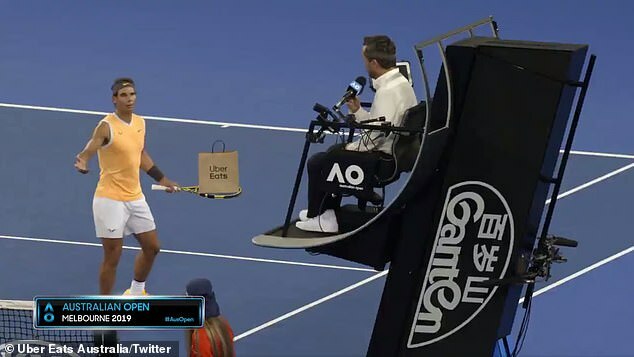 Rafael Nadal has hilariously starred in an advert for popular food-delivery app Uber Eats as he argues with the umpire over what to eat during a match at the Australian Open. The current world No 2 showed off his acting skills as he insisted on ordering ‘dumplings’ during a break in play in the spoof advert. 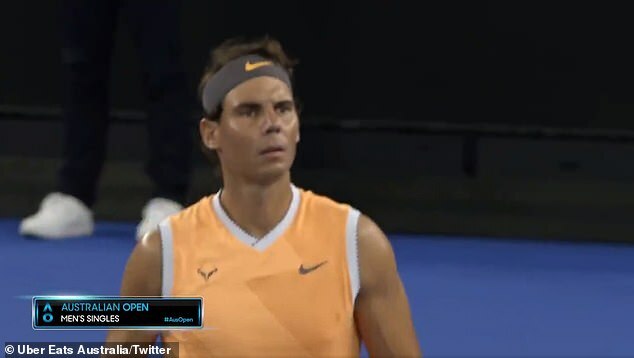 The video begins with an annoyed Nadal approaching the net to confront the umpire in what at first looks to be a real clip taken from the Grand Slam tournament in Melbourne. 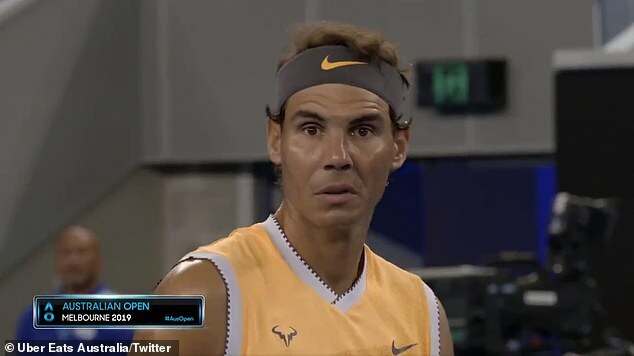 As the Spaniard makes his way over, the match commentators mention that Nadal ‘is not happy with the umpire’ to add to the realistic setting. 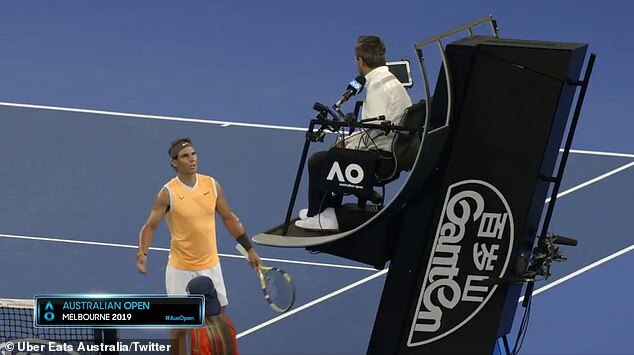 ‘We’re getting dumplings,’ the Spaniard insists as he looks up to the referee in his chair who comically protests that Nadal ‘ordered Chinese last night’. 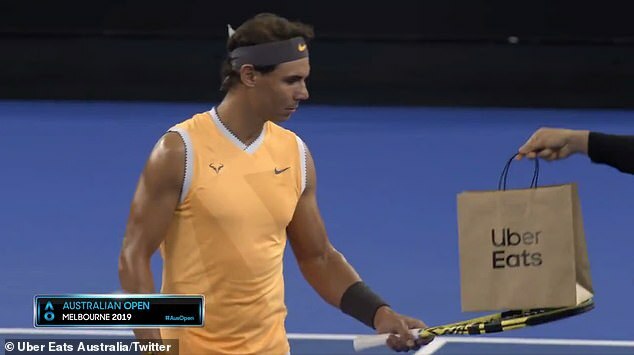 A doorbell is then heard ringing around the arena before the former Australian Open champion is handed his order on his racket. 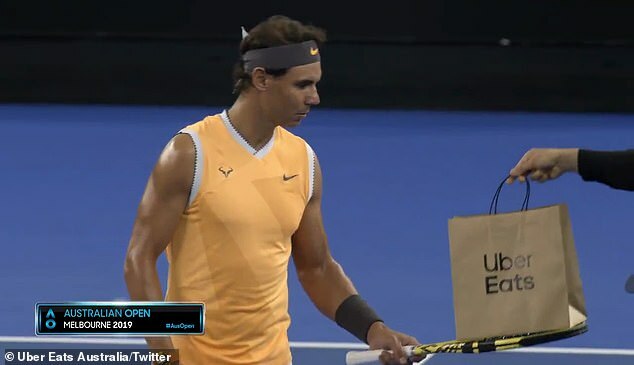 After inspecting his order, a now happy Nadal says ‘fantastic’ before heading back on to the court. 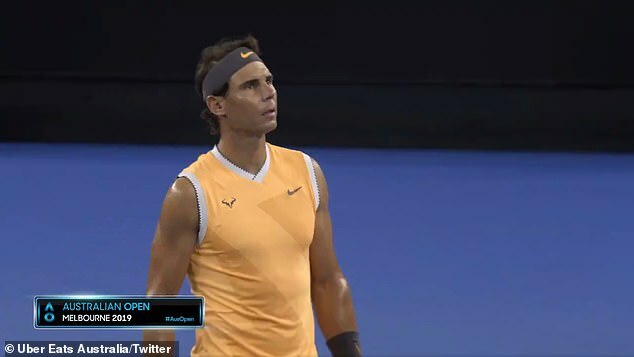 The umpire then hilariously calls the 32-year-old for a ‘dinner violation’ much to the dismay of Nadal. Nadal also got his way in his match on Wednesday after he breezed past Matthew Ebden to book his place in the third round in Melbourne.